If you’ve logged into AdWords services recently and noticed that something is different – your observational eye is 100% correct. Google AdWords services and functionality is under constant review and this often results in change. Like anything, we don’t always notice these changes, sometimes we need to dig a little deeper to discover. But we’re not going to make you work hard for it – we’ll reveal these to you below. Let’s turn your attention to the end of 2016. Google announced that it would be making sweeping changes to Google AdWords Services, specifically the AdWords User Interface (UI). Fast forward to now and these aforementioned UI changes are currently being rolled out. These are not inherently ‘radical’ changes, however, we do believe that AdWords is receiving a functional facelift with some added extras thrown in for good measure. Looking past the face value of Google AdWords services, significant changes to the way we advertise search have been introduced. 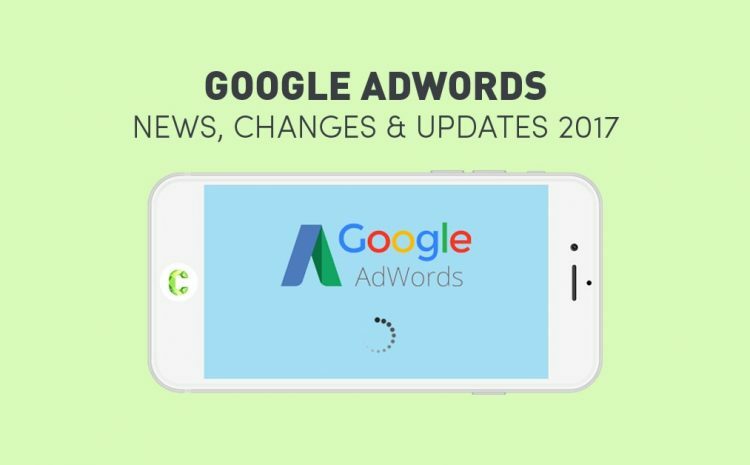 Keep updated with the most recent AdWords services changes in 2017 below. Click-to-call ads have just gone under some rather massive changes, well three to be precise. This shake-up from Google AdWords involves a fresh new look, easier ad set-up, and more detailed reporting. Continuing down their mobile-first movement, Google press that they have invested time into click-to-call ads as the “mobile-first world has made it easier…to pick up the phone and talk to a business directly. Account-level call extensions have started rolling out to advertisers. These call extensions allow you to set up at scale, meaning you can implement call extensions across your entire account at once. This will save you from inputting them several times across campaigns and ad groups. Following testing of business names in the headlines of call-only ads, Google found that leads were more qualified with the brand exposure. Google have stated that this new design will be rolled out globally, with new test and experiments to continue. The reporting data we receive from Google is expanding. Existing reporting included information on phone impressions, phone calls, and phone-through rate (PTR). You will now be able to measure conversions and other ‘useful insights’. Google are yet to define these useful insights, but we’re sure all will be reveal soon. Additionally, there will be new call details added to keyword and ad copy reports, as well as new columns for ‘Phone Impressions’ and ‘Phone Calls’. Google Merchant Center: The interface has had some slight adjustments with a dark outline menu, an “add” button and new icons that can help make campaign management more efficient. Further, tabs previously on the main data table have been moved to the left-hand side revealing two menu sets. Search Queries: There is no longer a quick filter search option. Now, users will utilise a full-filter query in order to look for specific campaigns or ad groups. Ad Extensions: In order to view ad performance data, all information is consolidated in a single table, which users need to fill up to gain specific extension data. Data will display ad group and campaign level negative keywords – which can be filtered by match type. Home Tab: The tab has been renamed “overview” with significant improvements. Users will be able to see a simplified layout of the top level performance breakdown for easy identification of strengths and weaknesses. Optimisation: Access to optimisation has been made easier as bid adjustment options are now placed on the main menu. Ad Creation and Preview: This function has been upgraded and users can add new text to an existing ad group and previews now display the ad extensions assigned to the campaign. This enables users to clearly see how the ad will be shown in search result pages. If you are yet to be prompted to try the new look, don’t worry. This new UI updated is being rolled out slowly across all AdWords accounts and should appear in your account shortly. In September 2016, Converted Clicks was removed as a bid metric. Google AdWords have announced that following March 15, 2017, advertisers will no longer have access to Converted Clicks data. So, if this data is important to you – it’s best to download it all before this date. Moreover, the Converted Clicks column will be entirely eliminated from the platform. All conversion data can now be found under ‘Conversions’. Furthermore, Google wants to ensure that businesses have a better understanding of their conversion metrics, so they can better segment them. If you’re wondering what the key differences are between ‘Converted Clicks’ and ‘Conversions’ metrics, we’ll break it down for you below. Converted Clicks measures the number of clicks that were accountable for one or more conversions. Converted Clicks fail to measure the user’s entire conversion journey – this metric purely measures the initial click. Conversions metrics provide additional, detailed data on cross-device, value, source/channel, purchase and revenue, and more. You can also customise and choose what to count as a conversion. Although ‘Converted Clicks’ has been removed from Google AdWords services, advertisers using Google’s DoubleClick can still use this metric for their campaigns. 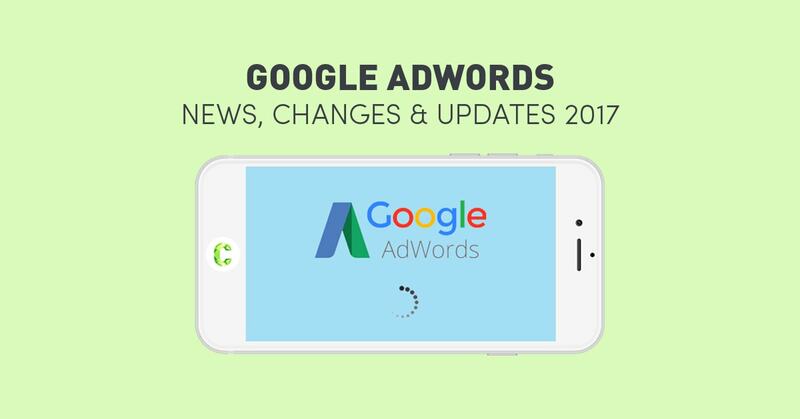 Do you know of any other significant changes or updates to AdWords? Share with us in the comments below or contact us here.